Valentine's Day is approaching, and I have a new fun and free printable that I'm pretty sure your kids will love! It's a set of coupons that kids can "cash in" for special treats - like a special dessert, staying up late, going out for ice cream, etc. Just click the above image to download. 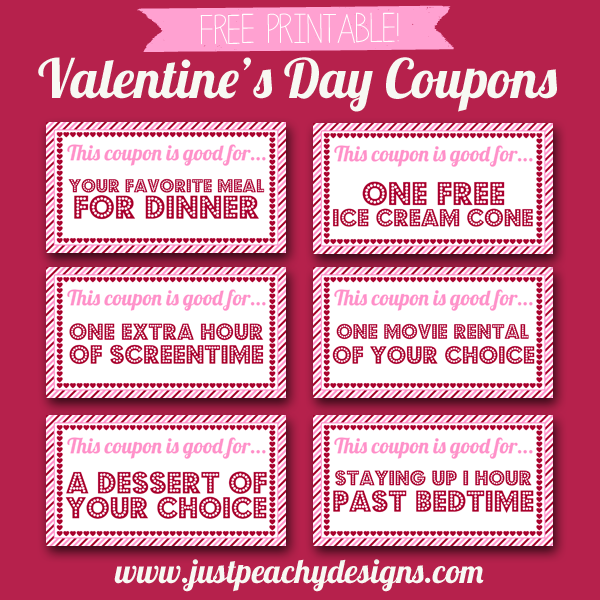 And stay tuned, because I also have a grown-up version of these Valentine's Day coupons that I will share with you soon. Happy Valentine's Day!